Time management is essential in my role as a social media community leader. That means that my team and I have to schedule some or all of our posts. It doesn’t mean that you don’t engage with our audience though. I recently wrote more about the pros and cons of scheduling your social media which I highly recommend you read before you dive into scheduling. The native built-in scheduler on Facebook is a must for anyone who is serious about scheduling their Facebook posts. What ever you do, please don’t use a third party scheduling tool to post to Facebook. Facebook ranks it down automatically, so your audience reach will automatically decrease. Facebook has improved the functionality and ease of use of their native scheduler over time and I now find it very good to use and edit my scheduled posts. Sprout Social is so much more than just a scheduling tool. It manages your reporting and analytics for many accounts. It does cost money to use it, but I think Sprout Social is a good product with some killer features depending on your budget. This is a new scheduling tool for me. I came across it a month or so ago and think it works very well. 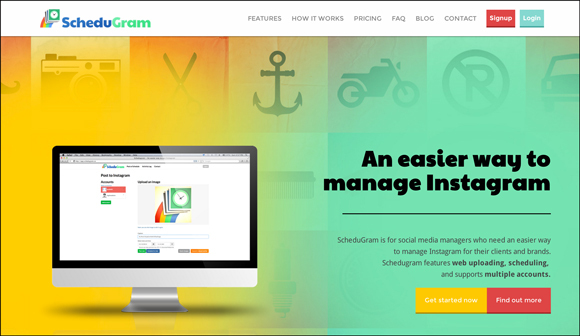 Given the constraints that Instagram puts up around not making it easy to schedule, the folks at ScheduGram have found a hack that works. And yes it is a hack, but it is safe and for a very low-cost you can now, finally schedule your Instagram posts. It even has it’s own filter set and lets you put in separate hashtags. The one limitation is that ScheduGram is web-based and there is no mobile app for on-the-go posting from your phone unless you log-in through your mobile browser which it really isn’t set up for. I used to use the free version of Hootsuite and found it very easy and simple to use. I haven’t used the paid version so I can’t give you any insight into how good it is, but the free version lets you schedule your posts simply and easily. Like Sprout Social it has many more functions that you can tap into. I have a very big soft spot for Buffer because it is just so easy to use. The team have worked hard to create a beautiful user interface that makes it easy for non-tech people to work around. Again there is a free version and a paid subscription upgrade that has more features beyond scheduling. I’ve used the free version of Social Bro to help me understand the what the best times are to schedule my posts on Twitter. 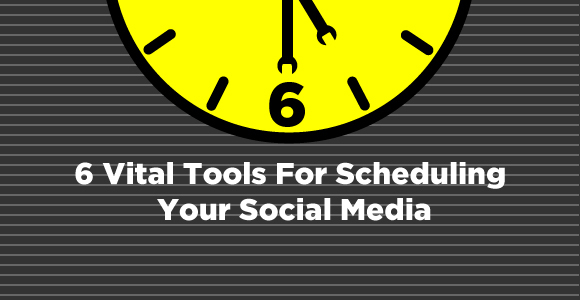 It’s not enough to simply schedule your posts, you need the best intelligence on when the best times to schedule. I recently wrote more about ‘How To Improve Your Twitter Reach For Free’. Reaching more people at the right time is important for engagement and growing your social media platform. I know that both Hootsuite and Sprout Social include this functionality in their paid plans. I just can’t afford the plan that uses this functionality. This is my hack around to help get the job done. What tools have you found useful and why? Do you have any questions about scheduling or social media? I’d love to hear from you, drop a comment below. good list! I’ve recently trialled MeetEdgar – a new tool similar to Buffer, but with extra tools to help you reuse content. It’s an interesting concept, but not cheap and therefore probably not accessible for many churches/ministries. 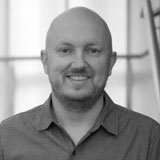 Looks interesting Steve, what is the best feature that helps you that the other schedulers can’t do? Hi Gary, I did check Autogrammer out. How are you different to schedugr.am? Any different features? I am not familiar with schedugr.am, they seem to be an overseas operation. Whereas we are based in the United States. Thanks for replying Gary, the ‘other crowd’ are actually based overseas where I am in Melbourne, Australia. There’s is a web based app which sounds like you both have the same or similar features.